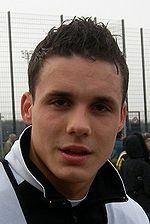 David Degen (born 15 February 1983) is a Swiss football player. He plays for Young Boys and Switzerland national team. This page was last changed on 9 September 2014, at 22:29.